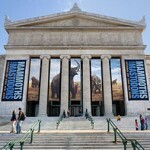 Many of Chicago’s museums offer free admission in the summer time to Illinois residents with a valid ID. Don’t miss your chance to take advantage of these special discount days. 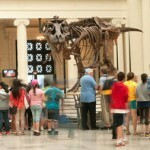 General admission is free to Illinois residents every Thursday from 5:00 to 8:00 p.m. throughout the year. Every Tuesday, the Museum is free to Illinois residents from 12:30–7:30 p.m. Families can also save at six area children’s museums by purchasing a Family CLIMB membership. The membership costs $135/year and offers free admission for two adults and all dependent children under the age of 18 living in the same household, up to six admissions. Participating museums include: The Children’s Museum of Oak Lawn, Discovery Center Museum in Rockford, DuPage Children’s Museum in Naperville, KidsWork Children’s Museum in Frankfort, Kohl Children’s Museum in Glenview, and Wonder Works Children’s Museum in Oak Park.